Traffic violations may have particularly serious consequences for commercial drivers. In fact, certain citations or tickets may put a commercial driver’s license (CDL) in jeopardy, which may prevent the driver from earning a living. To help mitigate the consequences you face for a CDL citation or ticket, you should always consult with an experienced traffic attorney at the Law Offices of Kenneth P. Carp at 636-947-3600 today. In order to operate a commercial vehicle, you must obtain a special commercial driver’s license. Once you have your CDL, you must obey strict regulations set out by both Missouri state law and the Federal Motor Carrier Safety Administration (FMCSA). Commercial drivers are held to a higher standard of driving than regular drivers because large commercial vehicles such as buses or semi-trucks can cause particularly devastating damage in the event of an accident. These are only some examples of CDL violations. Losing your CDL not only affects your freedom, but often also your financial viability. An experienced attorney can help limit the consequences you face and help preserve your ability to continue to work as a commercial driver. If you are a CDL holder and have received a citation in the St. Louis or St. Charles area, it is imperative that you seek representation from a traffic attorney who is experienced in CDL-related cases. Do not risk losing your ability to earn a living as a commercial truck driver due to a traffic violation or related offense. 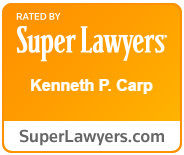 Please do not hesitate to call 636-947-3600 to schedule a free consultation with the Law Offices of Kenneth P. Carp today.